With the right Eibach Pro-Spacers installed, your car takes on a more aggressive look, with the wheels and tires—filling the wheel arches exactly the way they should. Fine-tuning your track width doesn’t just enhance your car’s looks it also gives you improved handling performance and optimized roll characteristics. The 20mm Pro-Spacers will let you position your tyres exactly where they will look and perform their best. In many cases, installing the right Pro-Spacers can improve the look and function of your existing wheels and tyres so much, you might not need to buy new custom wheels and tyres at all. Price quoted is for a pair of Eibach Hubcentric Pro-Spacers. Modification to standard wheel studs may be required depending on your design. Please Select your desired size and delivery option in the drop down menu beside the price above. The Cusco Anti Roll Bars replace the factory ARB, (if equipped) and uses the factory mounting locations. The Cusco ARB will dramatically reduce body roll since its stiffness is greater than the factory bar or if the vehicle is not equipped with one. The larger diameter and steel strength bar give the Cusco bar more resistance against torsion, which helps keep the vehicle stabilized during cornering and reduces weight transfer. Please allow up to 28 days for delivery when out of stock. The Cusco Anti Roll Bars replace the factory ARB, (if equipped) and uses the factory mounting locations. The Cusco ARB will dramatically reduce body roll since its stiffness is greater than the factory bar or if the vehicle is not equipped with one. The larger diameter and steel strength bar give the Cusco bar more resistance against torsion, which helps keep the vehicle stabilized during cornering and reduces weight transfer. This kit includes replacement rubber bushings and new clamps if needed Please allow up to 28 days for delivery when out of stock. Tie rod ends are designed with high quality alloy steel. These tie rod ends are designed to have maximum accuracy, which enables them to sustain extensive load. Please allow up to 3 weeks for delivery of these parts. 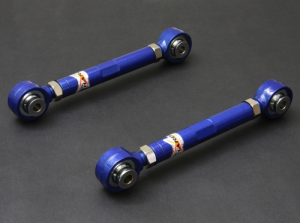 HARDRACE Trailing arm made of unique high density steel, provide excellent stability during high speed driving or hard cornering. Please allow up to 3 weeks for delivery of your order. 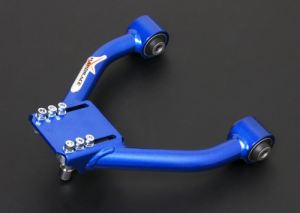 The control arm made with hardened steel and compound with superior quality bushing. A good control arm can regulate the movement of wheels quickly each time you turn or corner. 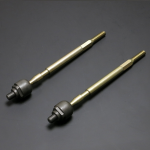 Upgrade your steering rack and improve steering angle with these Hard Tie Rods from Hardrace. Please ensure you select the correct version for your FD chassis from the drop down menu above, There are two versions Before Vin# 204781 or After Vin# 204782 Please allow up to 3 weeks for delivery of your order. Blitz Super Flex Suspension springs are designed to lower and stiffen the vehicle by 20% - 30% whilst retaining an optimum spring stroke and ride comfort. Blitz SFS springs achieve a stylish low stance on every vehicle. This item may take 4-6 weeks from the time of ordering to arrive. Please check with us in advance if you require this item quickly so we may check exact lead times and stock levels. The Street Advance damper is the evolution of our popular Super Street coilover. Developed to provide a sporty ride and aggressive stance, along with wide-range damping force adjustment using our new Advance Needle technology, giving the driver a much more noticeable feel in damping force change. The shortened shell case design provides optimum damper stroke at lower than standard vehicle ride height. Vehicle ride height is adjustable via the ZT coated threaded sleeve. Updated internal components and external coatings increase durability and product life. Street Advance dampers are great for daily driving and spirited driving for all types of drivers. Made in Japan under strict quality control standards and developed by highly trained suspension engineers. Stock levels can vary so while we can delivery your order quickly is there is stock here in the UK if Tein are out of stock please allow up to 8 weeks for delivery. If you require this item urgently please check in advance with us prior to placing your order to avoid disappointment. TEIN S.Tech Springs are an excellent step towards suspension tuning. They offer approximately a -20mm Front and -25mm Rear drop for a more aggressive appearance and increased road holding capability. Designed to be used with OEM or OEM replacement shocks. Each application is road tested in the UK for the proper balance between performance and comfort. Comes with a 1 year limited warranty, spring length is guaranteed not to sag more than 5mm, and be clear of any manufacturer defects. 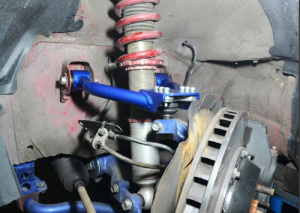 The new for 2015 Flex Z damper is the latest evolution of Teins excellent Flex coilover kit. Developed to provide the ultimate balance of comfort and performance for both street driving and circuit use and is fully compatible with Teins EDFC systems to adjust the shock absorbers either from the drivers seat or Automatically Along with a wide-range damping force adjustment using their new Advance Needle technology and new damper valving specs, giving the driver a much more noticeable feel in damping force change and controllability. The shortened shell case design provides optimum damper stroke at lower than standard vehicle ride height. Full-length adjustability offers separate spring preload and ride height adjustment. Updated internal components and external coatings increase durability and product life. Includes Pillowball Upper Mounts (camber adjustable for strut type applications) and as above is compatible with the EDFC and EDFC Active systems. Please allow up to 28 working days for delivery of this item when not in stock in the UK. Tein's brand new coilovers for the FD3s are now the Mono Sports, this top end coilover kit from Japanese suspension specialist Tein is focused on circuit driving performance and feedback without turning their back on those that really want to use them on the street too. MONO SPORT are for cars often running on circuit, the settings are focused more on sport driving. MONO SPORT offers not only the precise steering feel that strongly appeals to sport-minded drivers, but also the flexible movement. MONO SPORT is set up to let the drivers enjoy the runs on circuits and/or winding roads and everyday driving on streets with the damping force adjusted. Mono-Tube Structure to Deliver Rich Information from Road Surface! Full-Length System for Ride Height Adjustment w/ Minimal Change in Ride! Newly-Designed Upright Strong Tube for Strut Type Suspensions! 16-level Damping Force Adjustment + ADVANCE M.S.V.! Compatible with EDFC Series to enable In-Car Damping Force Adjustment! Upper Mounts Included for Easy Installation! Highly-Rigid Bracket & Shell Case! Smooth Ride Height Adjustment & One-of-A-Kind Adjusting Wrench! Tein Mono Sports are special order only and may require longer then usual shipping times in some cases up to 42 working days. 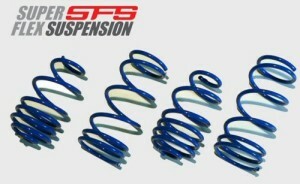 Top of the line for the RX-7 FD3s, Teins Super Racing Coilover Kit. Developed from actual competition TEIN was able to create a fully adjustable damper that can be easily tuned for any track and weather conditions. Super Racing Dampers utilize a full-length adjustment system to allow shock length and spring pre-load to be adjusted independently. Separate 16 - way adjustments for compression and rebound damping enable the user to fine tune for any situation. TEIN has incorporated both camber and caster adjustment into the front pillow ball upper mounts for strut type vehicles. External reservoirs on SA type dampers allow for added oil capacity. Spring rates and shock valving were derived for many years of motorsports support, to provide the ultimate damper for competition. Designed and tested for circuit use by advanced and professional drivers who are seeking complete damper tuning capability. 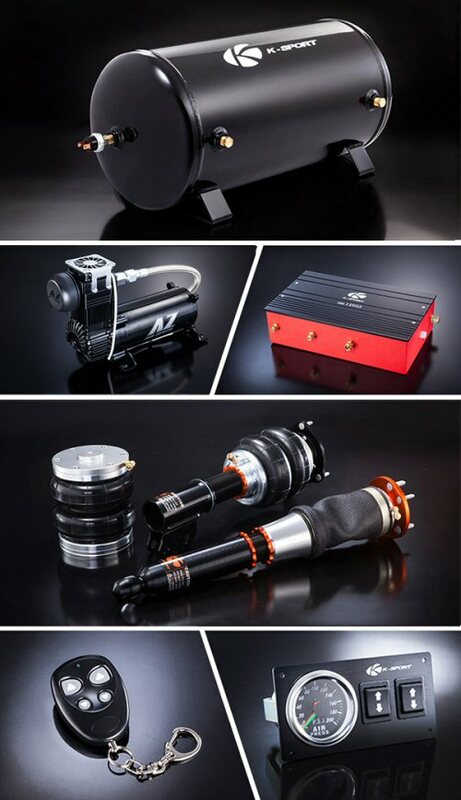 Teins Super Racing Coilover kit is special order only, Please allow up to 8 weeks for delivery of your order from Japan (depending upon current shipment dates this may be quicker) if delivery time is a concern please contact us prior to ordering this kit so that we may confirm stock and estimated delivery. The original EDFC, which has been popular for the past decade, is to be reborn as "EDFC II" with a new appearance using white LED and at a new affordable price. "EDFC II" brings the convenience of in-car damping force adjustment system to the hands of more people than ever. Simple Operation at Your Fingertip! Easily Controlled from the Inside! EDFCII is so easy to operate. All the basic operations can be done with just a single touch of either damping force adjustment buttons for front and rear (+/-) or 3 preset buttons. With just a touch of a button, damping force is adjusted to the preset setting instantly. Up to 3 presets are available to store the preferred settings. High-performance stepping motor is attached to the shock absorber, in place of the damping force adjustment knob. Damping force is adjusted by controlling the motor remotely from the controller unit installed inside the vehicle. Please allow up to 21 working days for delivery if not in stock. The Cusco Anti Roll Bars replace the factory ARB, and uses the factory mounting locations. The Cusco ARB will dramatically reduce body roll since its stiffness is greater than the factory bar or if the vehicle is not equipped with one. The larger diameter and steel strength bar give the Cusco bar more resistance against torsion, which helps keep the vehicle stabilized during cornering and reduces weight transfer. 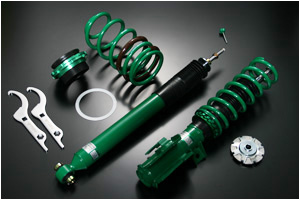 Essex Rotary can now offer the popular K-Sport range of AirRide suspension for your RX-7 or RX-8. 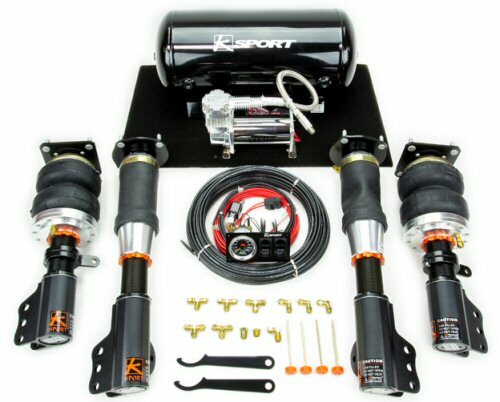 Air Suspension K-sport Basic system is for people who want a complete bare bones direct bolt in air suspension system. This system features a manual paddle valve system with basic front and rear up/down operation from the switch panel that is included. A 200 PSI dual needle gauge is mounted right next to the switches so you can easily see where your air pressure is at all times. 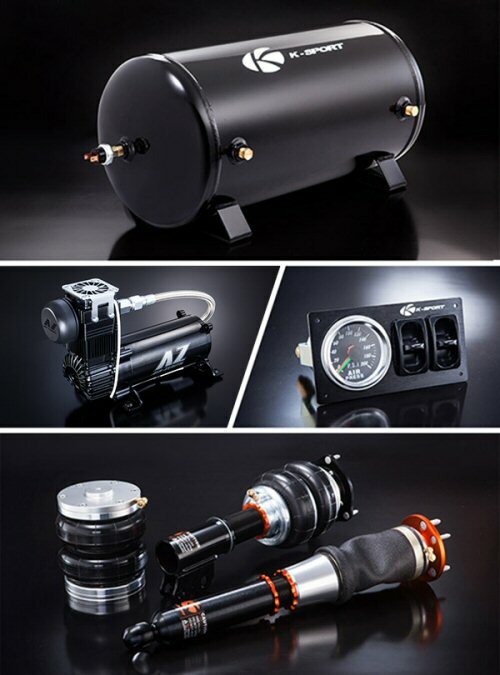 One Air Zenith compressor is standard along with our 5 gallon black steel air tank. 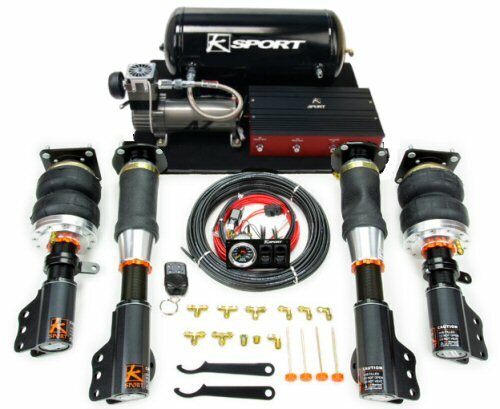 All Ksport Airtech air suspension systems feature high quality air bags, proven to handle the stress and abuse of daily driving as well as drift circuit use. Take advantage of the near infinite adjustability thanks to the adjustable lower mount, 36 levels of damping adjustment, and the unmatched height adjustability (0-120/200mm depending on vehicle) of air suspension. These air suspension kits are designed for easy bolt-on installation. 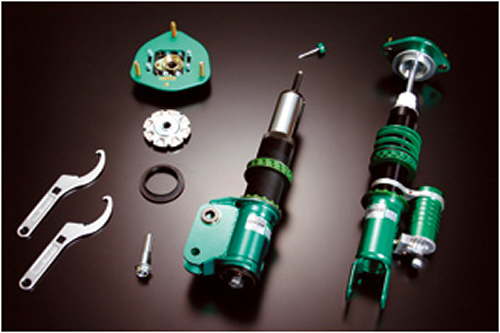 No modifications to OEM shock absorbers, or OEM top mounts is required. Vehicle may need to be modified for air line routing. All Ksport Airtech Systems use Air Zenith compressors, and can be raised from the lowest setting to max height in as little as 2 seconds. All Hoses, wiring, and installation manuals are included. A standard black steel air tank is included with the Basic and Deluxe kits. Manual paddle valves offer control of front and rear air bags. 200 psi dual needle gauge included along with mounting bracket for a clean install. Basic kits come with a single Air Zenith compressor. We chose to use Air Zenith compressors for their reliability and performance. Range of lowering is 0 to 120/200mm depending on vehicle. Every air kit comes with the same quality shocks that are standard in our control Pro coilover systems. Air kit shocks have a different internal valving setting to accommodate changes in PSI. All Ksport AirTech systems offer 36 levels of damping which allow you the ability to dial in your air suspension even further. Set damping softer (counterclockwise) or stiffer (clockwise) by simply inserting the included damping knob and turning it either way. This Item is special order only and is subject to our special order T&C's please read these before finalising your payment a link to our T&C's can be found on the checkout page below the shopping cart. 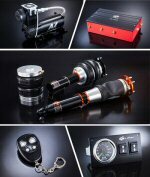 Air suspension Deluxe system improves on the Basic kit by adding several upgrades. One Air Zenith compressors are included which fill the tank twice as fast as the Basic kit. We include two electronic switches (front/rear and up/down) which offer more precise control over manual paddle valves and thanks to our seamless installation system, all the electronics are housed in a stylish red and black control box. A 200 PSI dual needle gauge is included as well. All you need to do is run 2 air lines to the control box, one from the box to the tank and complete your wiring via the quick disconnect plug on the right side of the box and you’re up and running. A wireless remote control is also included so you can operate the system from outside the vehicle if you wish. Our control unit offers as simple an installation as possible. Simply run your air lines to the box and connect 4 wires to our quick disconnect plug, wire up the compressors and relay and you’re done. Adjust your ride height from outside your car with the included basic wireless remote control. We have put together a Powerflex front suspension package for your RX-7 Fd3s using the Powerflex Purple Series bushes for road use. This kit consists of the following bushes. POWERFLEX SUSPENSION BUSHES PROLONG TYRE LIFE, IMPROVE PERFORMANCE AND INCREASE THE SAFETY OF YOUR VEHICLE ON THE ROAD. So don’t settle for your standard rubber bushes, go Powerflex and improve your driving experience. We are happy to offer any of the Powerflex bushes individually, please do get in contact with your requirements. We have put together a Powerflex rear suspension package for your RX-7 Fd3s using the Powerflex Purple Series bushes for road use. This kit consists of the following bushes. This kit will overhaul the full rear suspension, ARB and Diff mount setup. We have put together a Powerflex front suspension package for your RX-7 Fd3s using the Powerflex Black Series bushes for track use. These Black Series bushes are stiffer than their purple series and aimed at track use as they may transfer more vibration through the car. This kit consists of the following bushes. We have put together a Powerflex rear suspension package for your RX-7 Fd3s using the Powerflex Black Series bushes for track use. These Black Series bushes are stiffer than their purple series and aimed at track use as they may transfer more vibration through the car.